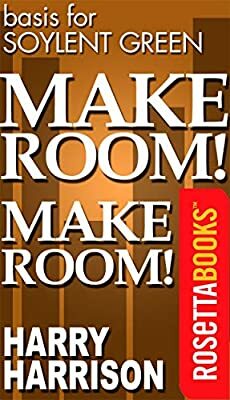 Books Set In: Make Room! Make Room! Author: Harrison, Harry Set In . . .
A stark, unbridled vision of planet Earth on the brink of collapse, and the inspiration behind the classic sci-fi film, Soylent Green. At the close of the twentieth century, a planet overwhelmed by rampant overpopulation teeters on the edge of self-destruction. In New York City alone, 35 million people are squeezed into its packed boroughs, scrambling like rats for the world’s dwindling resources. The only food available is a product called Soylent. And while the government tries to maintain order, the rich get richer and the poor stay underfoot. Finding a killer in this broken world is one hell of a job. But that’s exactly what detective Andy Rusch has been assigned to do. If he can stay alive long enough, he might just solve the biggest case he’s ever been on—unless humanity finally fulfills its promise and destroys itself first.